I am so honoured to be invited to exhibit once again at Chazou Contemporary Art Gallery in Kamloops BC. 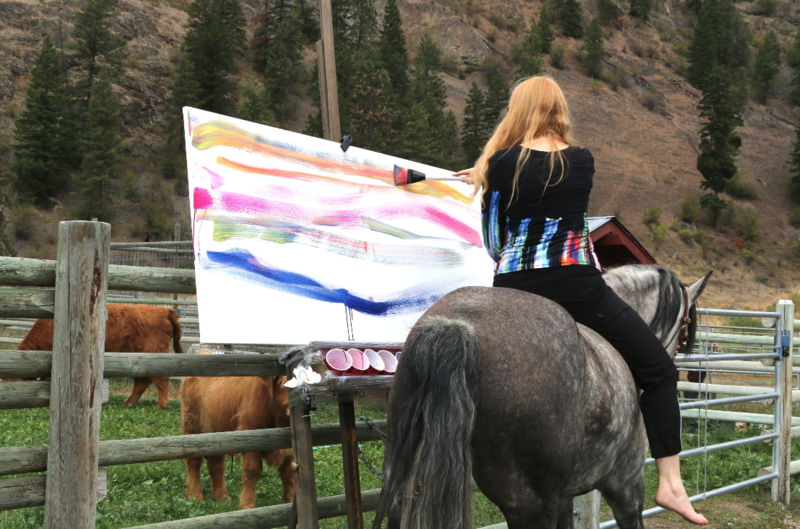 I enjoy both connectedness and freedom when astride one of our horses … To explore that sense of the horse and human, connected yet separate, each influencing the other – unified into one… is evolving a series of equine paintings more purely defined by the conceptual and abstract. And, if you were to stand beside this painting, I hope you could imagine yourself in this landscape of breath and muscle, astride your own horse feeling the gait as you study the subtleties created by the movement of her body, as the brush travels along the canvas.